Pricing for a foundation certification is $415 plus a travel fee, (if applicable). General turn-around time when ordered through Alati’s Inspection Service is typically 2 days. When order through the Engineering Firm turn-around times increase to 3 to 5 days. Remember that an Engineering Foundation Certification is required if you’re getting a loan on the property. If you are in the process of buying a Manufactured Home, part of Alati’s Inspection Service Manufactured Home Inspection, is looking for and reporting on the HUD required Foundation tie-downs. Tie-downs are a requirement for all Manufactured Home Loans. Typically these issues don’t come to light until a few days before closing. At this point the cost for the inspection, certification and repairs if needed are normally the buyer’s responsibility (you already submitted your request for repairs). If the home has Foundation tie-downs but is missing the Engineering Certification or is missing the Foundation tie-downs, wouldn’t you like to know this before your 10 day inspection period ends? Also wouldn’t you like the peace of mind knowing the existing condition of the home before you sign on the dotted line? 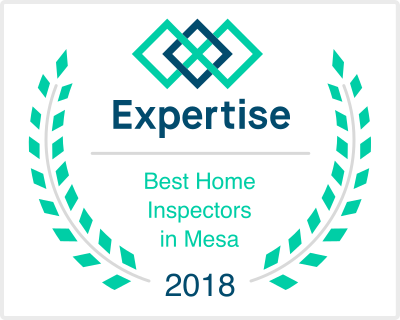 If you would like to schedule a Manufactured Home Inspection please call (480) 507-2775. If you want to schedule a Manufactured Foundation Certification Inspection click on the “Schedule Certification” button. Remember that an Engineering Foundation Certification is required if you’re getting a loan on the property. You can request that the seller supply you with a Certification during your 10 day inspection period. If the home is missing foundation tie-downs, we can submit the required forms and photos for the above mentioned fee. address required) Payment information required before inspection. Please note all the information needed and pricing to perform the Manufactured Home Foundation Certification is listed above. If you call with questions we will direct you back to the web site. In addition to the Manufactured Home Foundation Certification Alati’s Inspection Service can provide a full Home Inspection at a discounted rate (Save $50.00) when you combined your Manufactured Home Foundation Inspection along with your Home Inspection! HUD’s “Permanent Foundations Guide for Manufactured Homes” which is a design manual for foundations on manufactured homes. Engineers are required to certify compliance with this manual for existing construction. The practices recommended in the Handbook are not intended to be applied retroactively to existing sites unless the authority in the jurisdiction considers such application essential for safety and health of occupants. Upgrade of existing anchorages and footings shall meet the intent of the definition of permanent foundation stated herein. The “intent” of the anchorage is to adequately tie the home down during expected wind and seismic events. The “intent” of the footing is to adequately support the weight of the home given soil load bearing conditions and frost depth requirements. It is important to choose an engineer who is very knowledgeable about the PFGMH standards. An engineer who is inexperienced in these standards could wind up costing your borrowers thousands of dollars in unnecessary upgrades. Alati’s Inspection Service through the engineering firm of Hayman Engineering offers this service. We take the measurements perform the visual Inspection, fill out the required forms and upload the photos to Hayman Engineering who evaluates, calculates and issues the Manufactured Home Foundation Certification or recommend the Upgrade of existing anchorages and footings so that they meet the intent of the definition of permanent foundation stated.